In our SPA menu you will discover all the possibilities you have to add a special memory to your holiday. "The body is the temple where our soul lives." 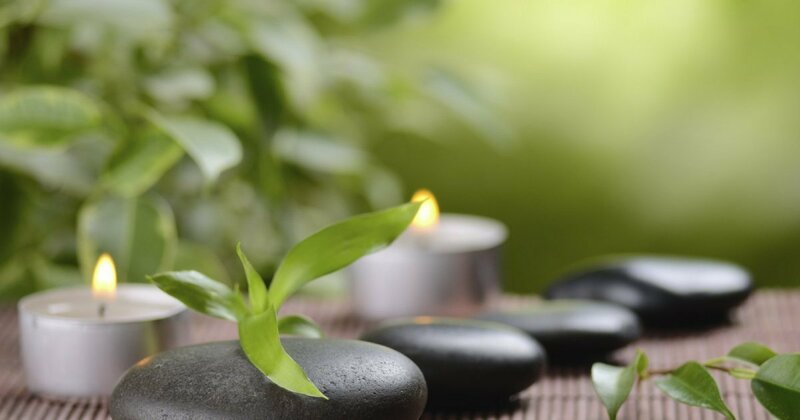 Under this motto you can experience your personal break in our "Balmer SeeLe" spa. Discover the diverse offers of our spa. You will certainly find a treatment you desire at our place. Our therapists also only have two hands. Please remember the early booking of your desired dates in our spa. A classic among all the massages is the Swedish body massage. In this kind of massage, we completely adapt to the needs of your body. By applying the traditional massage strokes and thanks to the massage oil used tension in your muscles will be relieved and agility for your next activities increased. With our offer of a "relaxed back" massage we not only let your muscles in the back, shoulder and neck area relax, but also increase the mobility of the cervical spine area. In addition, this massage helps against tension headaches and promotes the ability to concentrate. This application is suitable for guests who spend a lot of time sitting and thus feel tension in the shoulder, neck and neck area. A strengthening and activating full body massage with the scent of your choice. A classic massage for your back or legs with the scent of your choice. In this application, we use special body brushes made of natural hair, which remove dead skin cells with long strokes on your entire body. Your skin will be silky smooth and supple. Finally, a cream pack from Thalgo is massaged deep into your skin and provides it with natural nutrients. The sport of golf is demanding for the entire musculature of the player. Particularly stressed are the shoulders, arms, lumbar vertebrae and legs of the golfer. A successful round of golf depends above all on relaxed muscles in these parts of the body. We recommend this specially developed application on the evening before your tournament day to positively influence the score. A decent warm-up before the first tee should not be forgotten. The foot reflexology massage is a special massage in which certain areas of the sole of the foot are stimulated by the therapist's hand. The application is based on the idea that the feet are linked to all the organs of the body via nerve tracts and thus activated by the massage. Before the massage your feet will enjoy a soothing and relaxing foot bath. Warmed Hawaiian lava stones are placed on certain points of your back to stimulate the natural flow of energy. At the same time, the muscles in your back are supplied with thanks to the massage technique used. Through this combination, you will experience a relaxation throughout the body that accompanies you on your way home. After a long day on your feet, this soothing foot massage with warm Hawaiian volcanic stones is ideal for a regeneration of the stressed foot muscles. Similarly as in foot reflexology, the nerve endings are stimulated and the well-being of the whole body is increased. This will make your next round a nice walk. Looking for relaxation from everyday life? Let yourself be completely lost in our Hawaiian Lomi Lomi massage. This back massage not only cleanses the body, but also the soul and spirit in the rhythm of the music. It uses a lot of oil, originally from the kukui nut. Die Massage besteht aus passiven, dem Yoga entnommenen Steckpositionen und Dehnbewegungen, Gelenkmobilisation und intensiver Druckmassage, die das gesamte Wohlbefinden nachhaltig unterstützt. Sie ist besonders zu empfehlen bei klassischen körperlichen Leiden, z.B. Rückenschmerzen, Nackenschmerzen oder Gelenkschmerzen. "Die Gesundheit des Gesunden" zu erhalten, war schon immer ein großes Anliegen der traditionellen Ayurveda-Heilkunde. Ayurvedische Anwendungen spenden Wärme und Wohlbefinden, sowie Entspannung für Körper, Geist und Seele. Sie stabilisieren die Körperenergien und helfen den Organismus sich von Schadstoffen zu befreien. This back massage can be enjoyed in the unique ambience of our Asia Pavilion. Through the powerful stimulation of the energy points in the back, as well as the gentle stretching of your joints, the therapist ensures mobility and well-being alike. It is especially recommended for back pain and neck pain, as the blockages are permanently released. The Thai massage is ideal for increasing the mobility of the joints in your foot muscles. By gently rotating the joints, the ligaments and tendons are stretched. This increases your mobility while reducing the risk of injury. This preventive application is ideal for guests who travel a lot on foot. Pressure point massage with the stretching of the neck muscles. Warm steam naturally opens and cleanses the skin pores while the body detoxifies. In our Asian sauna, your body also experiences the healing effects of a specially composed herbal mixture from our therapist Yuphin Danz. This soothing treatment is perfect for your Thai massage to prepare the muscles and joints for the application. An Asian finger pressure massage to solve energy blockages. In the unique ambience of our Asia Pavilion enjoy this relaxing ayurvedic back massage by our experienced Ayurveda therapist Pradeep Vijinayake. The massage is carried out using warm harmonizing oils and long stroking movements. This provides deep relaxation of the back muscles and activates the energy flow of the body. For this ayurvedic massage we recommend a steam bath in our Asian herbal sauna. In-house herbal mixture makes this scrub a pleasure. The Mukabhyanga is a particularly soothing and sensual facial massage in which body-warm Ayurvedic oil is massaged in slow motion with gentle, but targeted strokes. The Mukabhyanga has a very soothing and harmonizing effect on our body and soul. It nourishes and perfects facial skin and has a natural anti-aging effect. The Mukahbyanga is suitable for all guests who want to preserve their natural beauty. Because where I am yours, I am really mine." Michelangelo (1475-1564) Enjoy a romantic rose petal bath being together, only the two of you, in the glow of the setting sun in our nutwood bathtub. To perfect this moment sparkling wine and fruit are waiting ready during the bath. With warm ayurveda oil, your feet are massaged and stroked using special grip techniques. This wholesome massage is effective for sleeping disorders, restlessness and nervousness, and harmonizes your natural well-being up to the tips of your hair. This application is particularly suitable in the evenings, so that the next day guarantees a perfect rest. A relaxing body massage by candlelight and a flower bath in the nutwood bathtub with a glass of sparkling wine, a fresh fruit plate and the view over Lake Balmer. Aryurvedic forehead oil casting harmonizes body and soul. The herbal stamp massage is a Far Eastern treatment method and combines the soothing effects of full body massage with natural herbs and heat. The herb-filled and steam-heated linen sachets expose their active ingredients to your entire body through a uniform pressure point massage. The extracts of herbs which get released in this way are soothing, relaxing and refreshing. The metabolism is stimulated and the body detoxifies. Mit unserer einzigartigen Schwebeliege von Wavebalance® können Sie ausgewählte Massage-Rituale in einer neuen Dimension erleben. Schon beim Betreten unseres „Traumpfades“ befinden Sie sich in einer anderen Welt, in der es nur um Sie und Ihr Wohlbefinden geht. Während Sie auf der Wasserbettliege schweben, nutzen die Therapeuten die Energie des Wassers um die Muskulatur noch intensiver im Rhythmus der Wellen zu massieren. In unserem Raum Traumfluss werden Sie auf einer Hydrojet Schwebeliege durch druckvolle Massagedüsen revitalisiert und Ihre Muskulatur gelockert, ohne dabei nass zu werden. The vitality massage is the perfect application for tensions of the upper back muscles and cervical spine section or the thigh and calf muscles. High-quality massage oil is used to make the muscles supple and flexible again. Thus, you are fit again for the next sporting challenge. In this beauty application, with our wrinkle-filling mask pads made of highly concentrated hyaluronic acid made by the company Thalgo, your face will shine in a new light. Then we pamper you with a soothing intensive facial massage using special high-quality massage lotion. For our grandfathers, water, soap and Old Spice were enough for their daily skin and facial care. The modern man, however, has rediscovered the skin care and pays attention to the care of his skin with high quality vital products. "A man who dares" is the ideal application for stressed men's skin. With the high-quality product of the series Thalgo Men, the facial skin is revitalized, regenerated and the complexion looks fresh and clear again. The active substances from the sea provide your skin with intensive moisture and natural nutrients. At the beginning the cleaning & peeling appropriate of your skin type awaits you and a thorough cleansing. 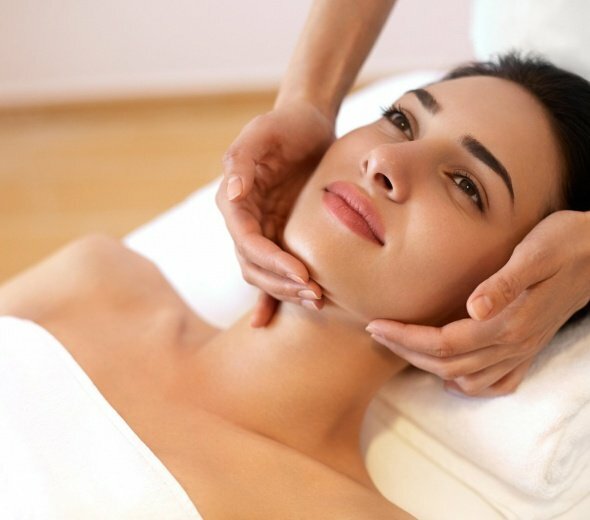 Afterwards a soothing intensive facial massage will stimulate your blood circulation and lymph flow. In order to achieve the right effect, applying a maritime hyaluronic mask will nourish and soothe your skin with active ingredients. Filing and polishing nails, peeling as well as a nail and hand massage. Foot bath, pedicure, peeling and massage. Stimulates the activity of your lymphatic function in the legs. Belly and décolleté or chest and décolleté. The skin renewal process takes an average of 28 days in humans. The removal of dead skin dandruff supports this renewal process and ensures a vital and firm skin. With our peels we support the regeneration and at the same time care for the new skin cells. Depending on the skin type, we use different peeling products to pamper you individually, such as for example, sea salt peeling, algae cream exfoliation, sugar peeling or coconut peeling. Give your biggest organ the holiday it deserves! A body wrap is the most beneficial way to say "thank you" to your skin. Depending on the skin type, the warm pack of sea buckthorn, algae mousse or marine silt is prepared for you and applied to your skin. You are wrapped in a warm blanket, so a consistently comfortable temperature can be maintained and thus the nutrients and minerals can penetrate deep into the skin. Our recommendation: before your pack, enjoy a gentle peeling or a natural brush massage to open the skin pores and remove dead skin. With our heat packs, optionally from mud, you can treat your back with a soothing regenration. The fango pack stores the heat and releases it slowly and evenly to the back. In addition, the natural ingredients provide the skin with important minerals and nutrients, such as calcium, potassium, phosphorus and sulfur. The application relieves tension in the back and is ideal as a preparatory application for your subsequent back massage. Not only your upper body is stressed in everyday life, you must also treat your feet to a relaxing break! With a classic foot massage including nourishing pack your feet experience a restful regeneration. With this treatment, the circulation is increased, the self-healing powers stimulated and stress feeling kept at bay. With this application you will certainly walk light-footed throughout the day.